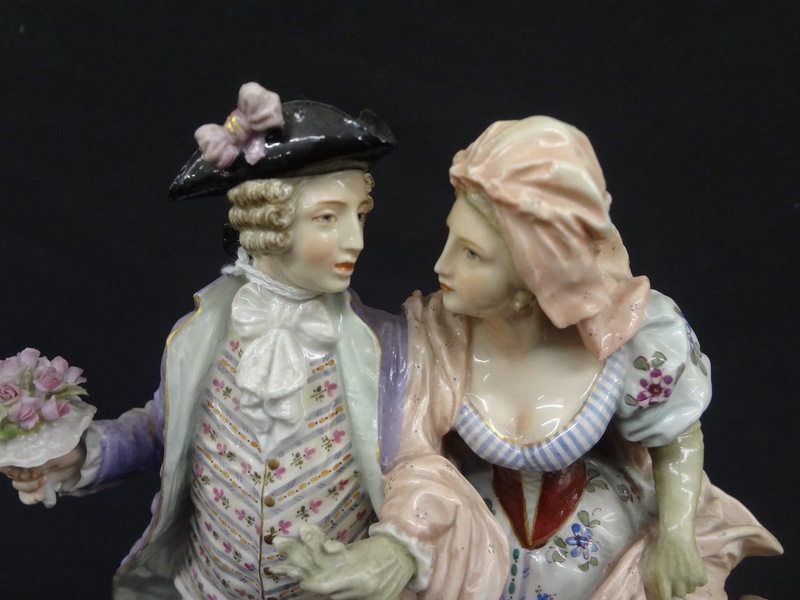 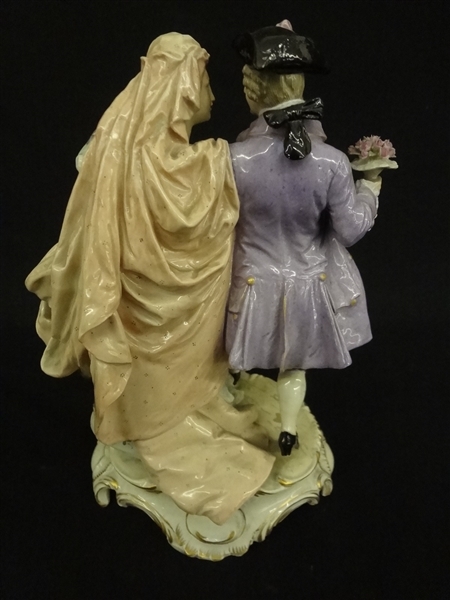 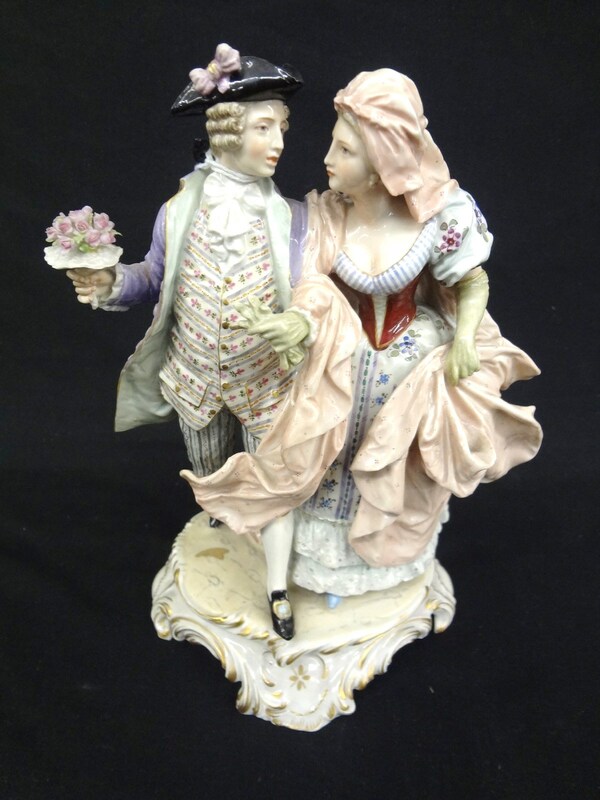 Ludwigsburger Porzellan-Fabrik Porcelain Figural Group c1790: Ludwigsburger Porzellan-Fabrik Porcelain Figural Group c1790: Man and woman with bouquet of flowers. 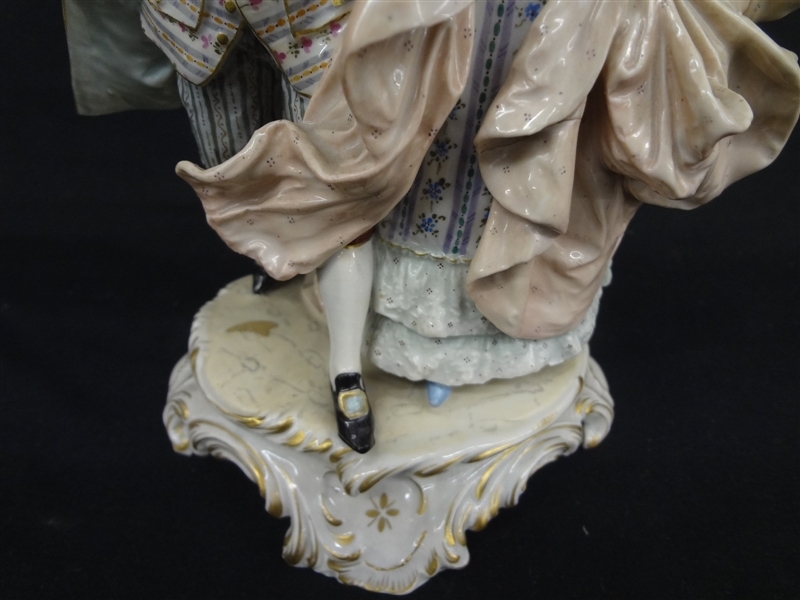 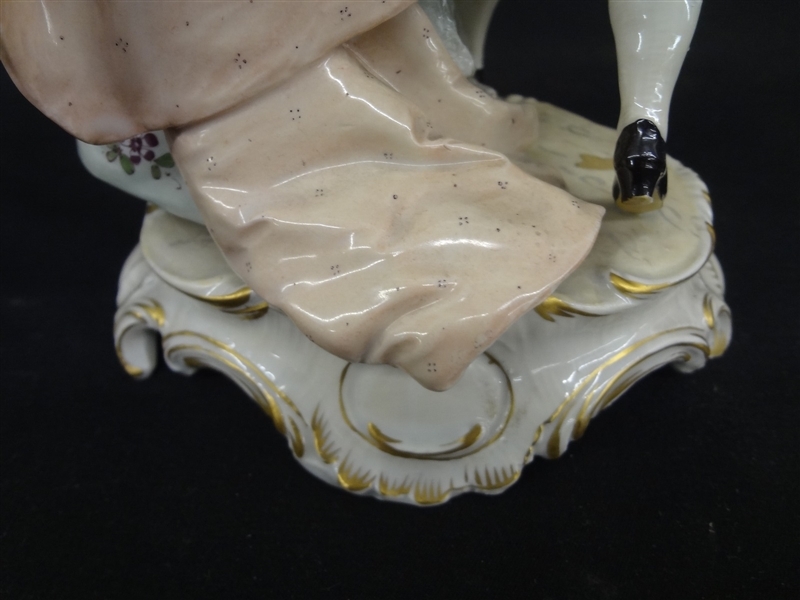 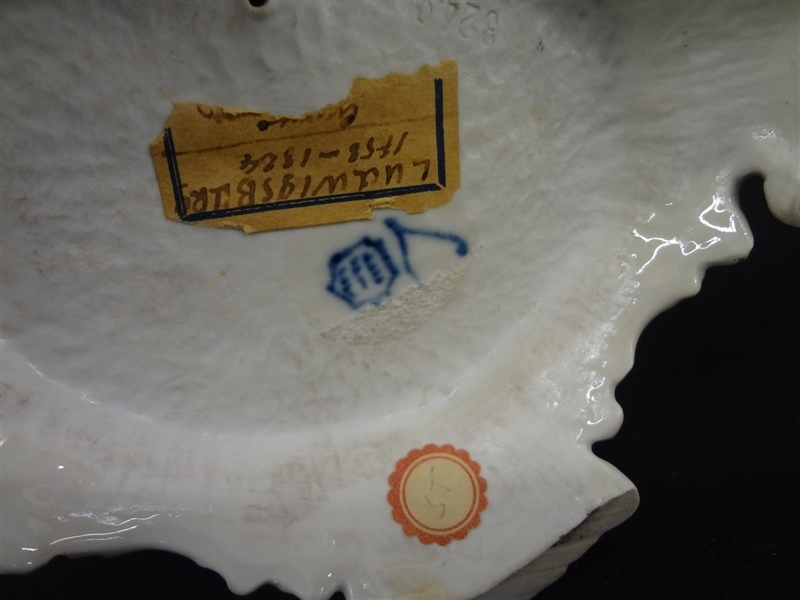 Marked on bottom, stands 9" tall, white and gold detailed base. No condition issues.